None of &# 39; em!!! Who's the perfect one for Shahid Kapoor? Who's the most beautiful star's wife? which film has this song n who sang it? Very Handsome Bollywood Star John Abraham turned a year old. One of his fan has sent us a wonderful tribute to the actors posting it on our Fans Take segment below. ( Celina Jaitley), and Shivani ( Rimi Sen ), respectively. cheat on them often with not one, but many women. The story revolves around Sreenath Prasad a.k.a. wants to be associated with a crime family. Dr.
purely decent family—he is also unsuccessful. Kapoor) from the film `Jab We Met`. think about Kareena while performing her part. 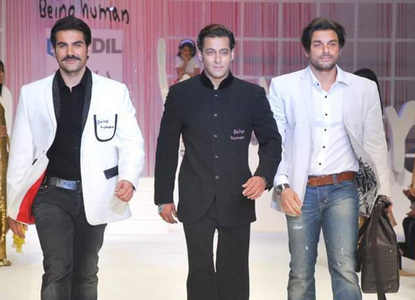 True or False: Salman is younger than his two brothers, Arbaaz and Sohail.